The McGee family hails from America, and has been living in Beijing since 2002. 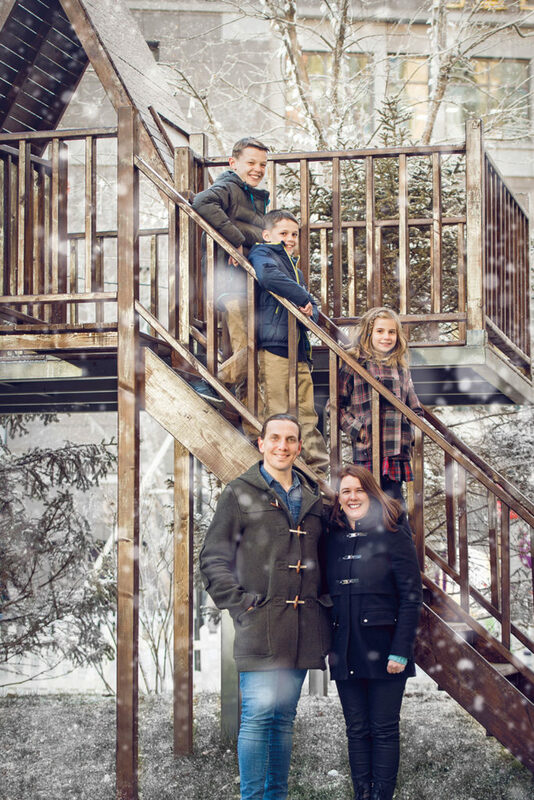 Doug and Jenny have three kids: Elisha (11), Enoch (8), and Eva (7). Jenny is the CEO of the Starfish Project, a local jewelry brand that also helps care for women coming out of human trafficking and exploitation, while Doug is a musician, songwriter, and front man for his band Eluvia. The grown-ups in our family might choose something more upscale, but we are outvoted by our children, who would choose Dunkin’ Donuts every time if given the choice. We love exploring the mountains north of Beijing. Hiking some trails in China’s National Forest parks. Taobao. Don’t know how we got on without it. Different shops for different things. Chinese vegetable markets for general purpose vegetables, DiDi’s Market for specialty items that we can’t get in local markets. One of our favorite spots to go to is The Orchard. Good food and nice atmosphere. We especially enjoy walking the gardens. Our kids love iJumper, a trampoline park in Shine Hills. We sometimes join in the jumping too. It’s amazing how freeing it is to bounce like that. Mostly, we enjoy time connecting with each other chatting and sipping our coffees, while the kids bounce around on the trampolines. We love the water parks in Beijing when the weather is warm. Tuanjiehu Park is always a hit with the kids when we need to cool off. Maquanying. We love the old farm village style of this neighborhood, and love our traditional Chinese courtyard. China National Film Museum. Our kids are very interested in how movies are made, and they really enjoy looking at all the old film equipment. This article appeared on p64 of beijingkids March 2018 issue. Family Favorites: Tidings of Joy from the Nirwonagize-Fernandes Family!